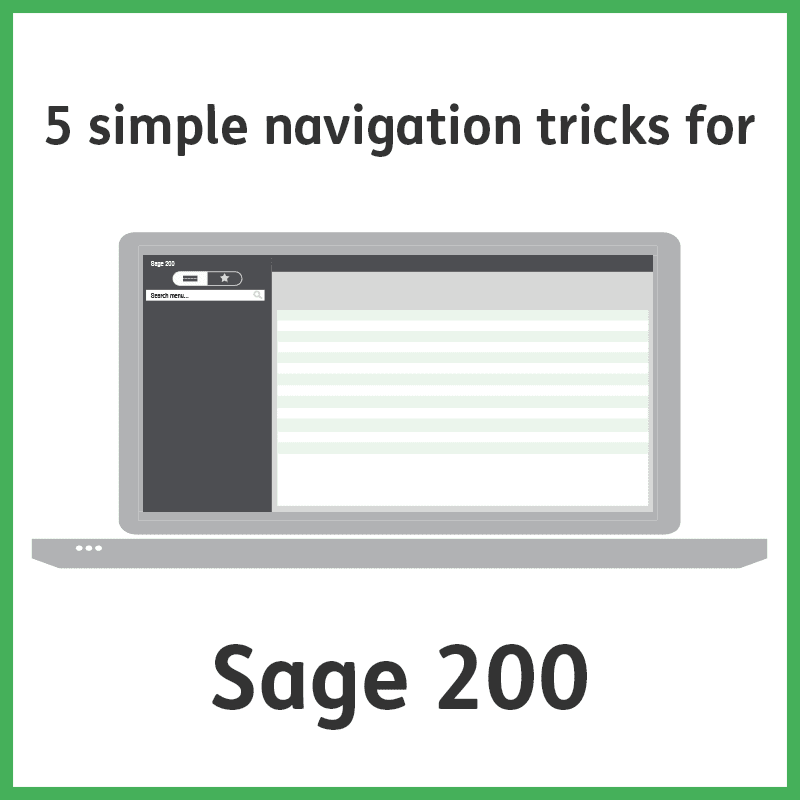 When it comes to navigation, many users of Sage 200 are happy using their mouse wheel to scroll up and down their records in list view. But what if your mouse doesn’t have a wheel? You use the scroll bar at the side, right? Wrong. As a default the scroll bar is not readily available. Instead you have to click the arrows at the top and bottom of the scroll bar. The single arrow with a line will take you to the top or the bottom depending on the arrow direction. The double arrow symbol will take you a few records up or down (again, dependent on the direction of the arrow). But if you like old fashioned navigation like me, having a nice scroll bar would be nice, and in Sage 200, you can. Simply select ‘Scrollable View’ in the top right of the list view, and the scroll bar will appear. 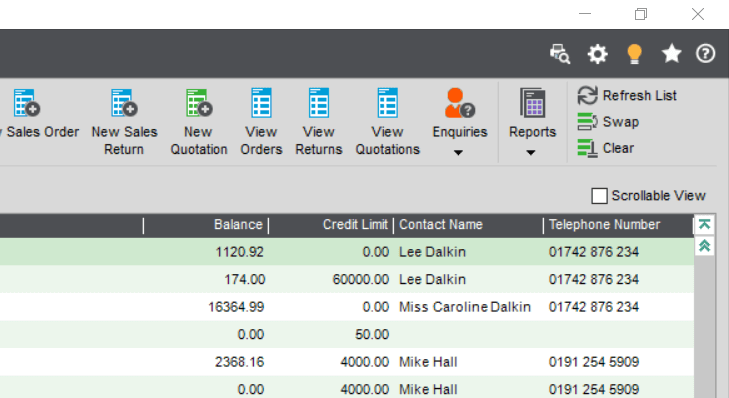 Have you ever been looking at a list of account in list view, and realise that although the current on screen supplier data is great, it would be even better if it contained the supplier’s post code. This would immediately let you know which part of the country the supplier was based in. 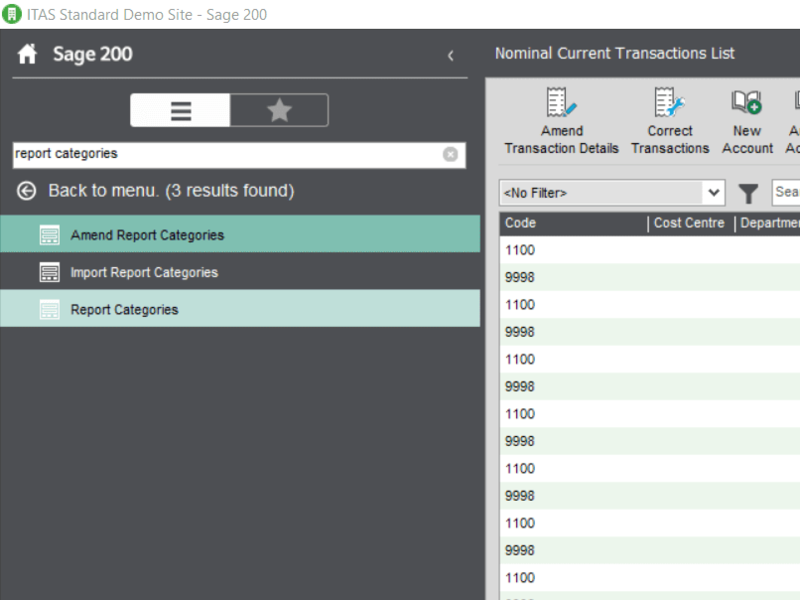 Well in Sage 200, you can add a column to any list view, at any time. All you have to do is right-click anywhere on the list area, hover over ‘columns’ then finally left-click the column you want to show. You’ll notice that any columns on display will have a tick next to them. 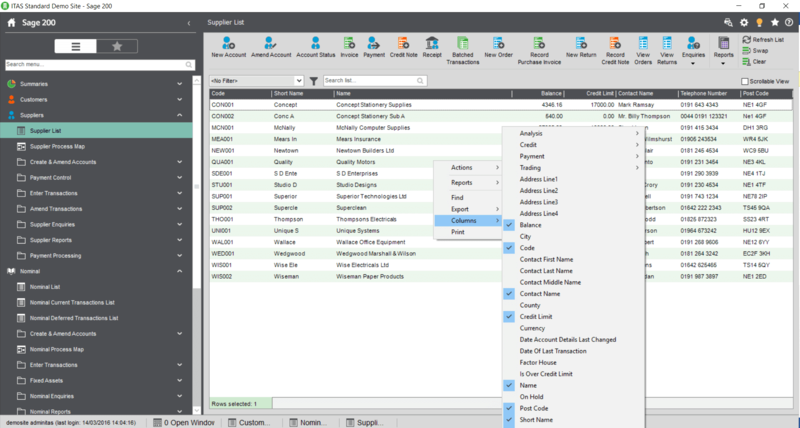 Ever use a feature of Sage 200 so much that you’d consider it your favourite? Well, if this is you, then ‘Favourites’ is the feature for you! You will have probably noticed the star symbol in the top right-hand corner of nearly every screen. Well this is your ‘Add to favourites’ button. Just like your Internet Browser, when you add a screen to favourites, a shortcut is made and kept on the Favourites folder. The only difference is in Sage 200, it’s stored in a favourites menu. Allowing you quick access you any screens that were added. The cherry on the cake however, is that the favourites menu is completely customisable, allowing you to tailor Sage to your needs. This is a two for the price of one type of trick. If you’ve ever forgotten where a screen is or it’s been moved when you’ve upgraded to a different version of Sage, then the ‘Search Menu’ feature will be your best friend. Having the memory of a goldfish, I use it twice a day. It’s a feature that could save you a lot of time in the long run. I use it twice daily, since I’ve inherited the memory of a goldfish. This does exactly as you’d expect, if you can’t find where ‘Report Categories’ is for instance, simply type it into the menu search and whammy. So simple, even someone with the memory of a goldfish could do…. The second part of our BOGOF offer is the ‘Show in menu’ feature. Now that you’ve found the screen you were looking for, it’d be great to see where it’s located, right? If you right-click the screen, then select ‘Show in menu’, yep, you’ve guessed it. It shows you exactly were the screen is located in the menu. This last feature I’m going to cover is ‘Collapse All’ menu items. This again does exactly what it says on the tin. It is however, incredibly useful if you’re a particularly untidy person who leaves all the menu items open. Or perhaps it’s been another manic days approaching your year end and keeping things orderly has gone out of the window. ‘Collapse All’ will close all the menu items and return you to the top level (or parent folders) i.e. how it looks the first time you open Sage. So in the screenshot below we have a ton of menu items open. Right-click anywhere in the menu area then select ‘Collapse All’, and the menu will return to the top level. There is an ‘Expand All’ available too, but I don’t know why you’d want to use that. Honestly. Do you use any of the navigation tricks above? Maybe you know of any that we missed off our list, get in touch and give us your feedback. If weekly is more your thing, why not subscribe to the Sage 200 Buzz Podcast? It’s filled with all the latest and greatest features, add-on reviews and news from the itas team.